When buying a smartphone on a budget, compromises often need to be made, usually with screen size, and quality, overall horsepower. But sadly, too often the user experience also suffers. However much you're spending on an Android phone, no-one wants to come away with a device running year-old software or a clunky manufacturer skin. Enter HTC -- we've all seen the One series, the mammoth One X, the superb middle ground in the One S, and the entry offering in the One V. But there's now a younger sibling, the HTC Desire C. While it may be small, not to mention less spec-filled than many AC readers would be looking for, it offers up something that too many devices launched throughout the first half of 2012 have lacked -- Android 4.0. 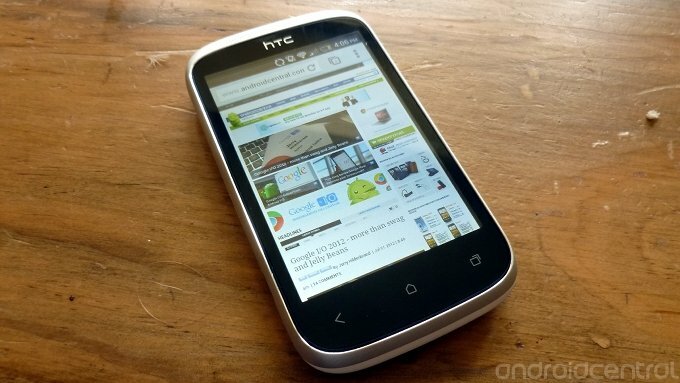 Not just that, the Desire C also brings HTC Sense 4.0 with it too -- and all for just £150. Sounds great, right? Find out how the Desire C measures up after the break. 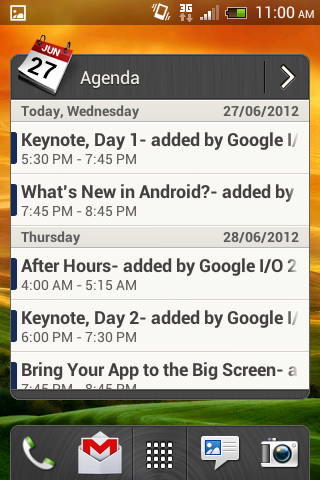 Android 4.0 and the same Sense 4.0 you get from its bigger brothers. The annoying 3-dots menu bar from the One series has gone too making for a much more pleasurable experience all round. Surprisingly capable for a low end device. Same Beats Audio treatment as its bigger brothers too. A phone this small really isn't for everyone. No-auto focus on the camera, pictures and video really aren't that good. Probably the best entry-level Android phone you can buy today. The Desire C is cheap on price, but not on features. OK, the screen isn't a patch on the One series phones, and the camera is pretty awful, but ignoring that, the Desire C is incredible value for money. HTC has proved that entry-level doesn't mean Gingerbread, a lesson the other Android OEMs need to learn quickly. The Desire C is a good looking phone. Really, it is. 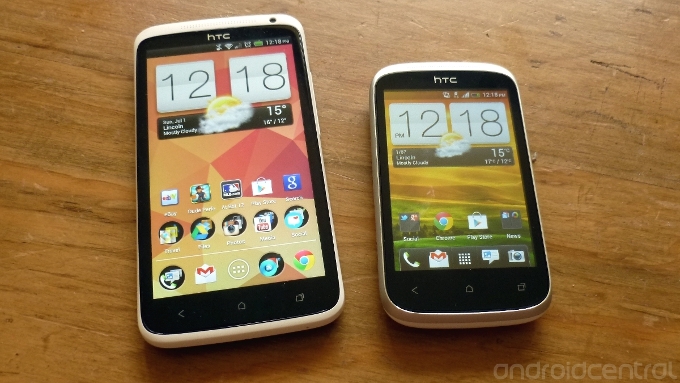 Sat side by side with the grand-daddy of HTC's current offerings, the One X, the two strike a very similar pose. 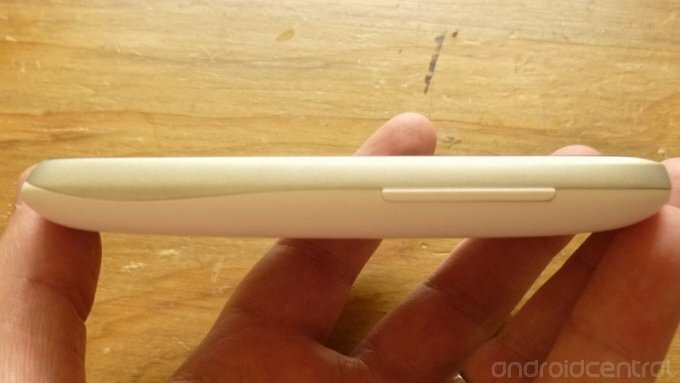 It literally does look like someone took a rolling pin to the Desire C and ended up with the One X. And, to make the Desire C desirable -- no pun intended -- keeping the same good looks of the high end stuff is a nice touch. It is a little on the chunky side, but that's no big downer on a phone that's so tiny in general. It feels nice in the hand, almost like holding a pebble. It looks great too in the two-tone silver and white combination that we were sent. There's no front facing camera, and the screen is a teeny tiny 3.5-inches at 480x320. That's the same size as the current iPhone 4S, yet in the Android world, it's incredibly small. It's bright though, and has really good viewing angles, so despite lacking in resolution, it isn't horrible to look at. But what makes the Desire C tick? If you're a processor junkie, then you can probably skip to the next part, because the Desire C houses a modest 600MHz Snapdragon processor, and just 512MB of RAM. While not a lot, it runs ICS and Sense 4.0 just fine and dandy. The whole experience is surprisingly smooth and snappy considering the apparent lack of power. 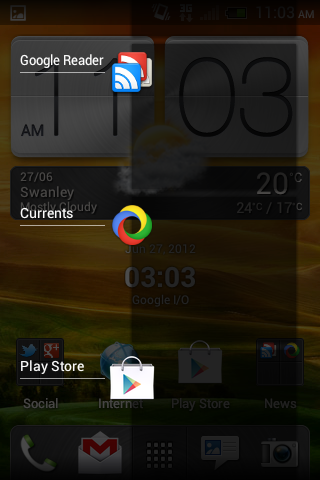 Loading some apps takes a bit longer than other ICS phones, and it does struggle with Chrome. 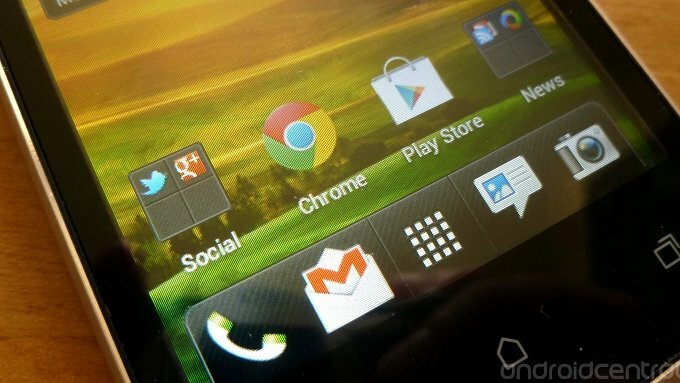 But it does run Chrome, and that's more than can be said for a whole heck of a lot of Android phones. 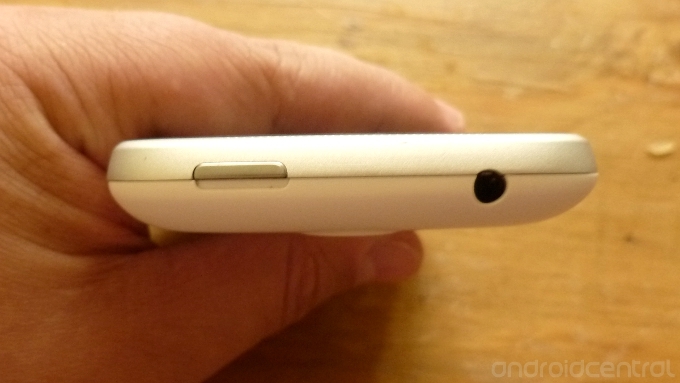 Up top we've got the power switch, accompanied by a standard 3.5mm headphone jack. Holding the phone at this angle really does show off its chunky side. Down bottom, nothing but the microphone. 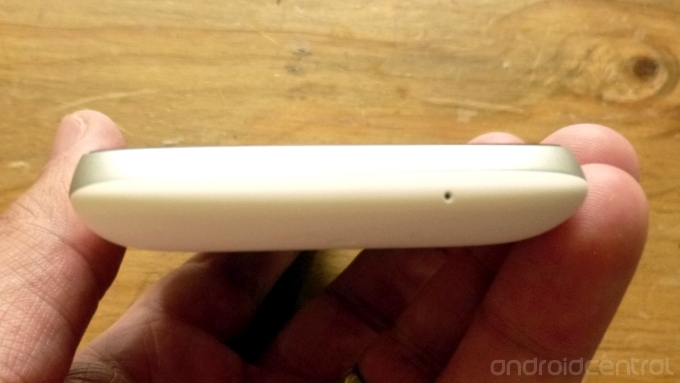 The sides of the phone highlight the two-tone paint job, but also house the microUSB charging port on the left, and the volume rocker on the right-hand side. The exterior of the Desire C is very minimalist in terms of ports, sockets and buttons, and it adds to the high quality feel of the design. And the reason the exterior is minimal? Unlike its bigger brothers, the Desire C has a removable rear battery door. Peel away said battery door, and the first thing to notice is the rather striking shade of red that greets you. 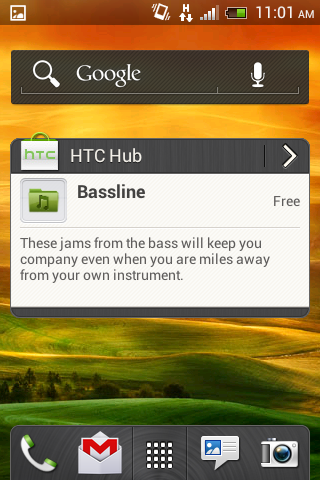 This is a nice little design touch we've seen on a few HTC phones previously, including the One S and Droid Incredible. It's a fantastic little design feature. Going beyond the color, the Desire C is home to a removable 1230 mAh battery. Small, but ample for such a dinky little phone. There's a standard sized SIM card slot -- hence the adaptor in our photo -- and also expandable memory courtesy of a microSD card slot. Strange though it may seem, these features were considered deal-breakers for being omitted on the One X, yet all are present here on the Desire C.
Also on the rear of the phone, is the 5MP camera, without the benefit of an LED flash. The camera is nothing to write home about, but we'll come on to that later on. Sitting beside the camera lens, is a rear speaker. Pretty small, but loud enough for those times when you actually need it. 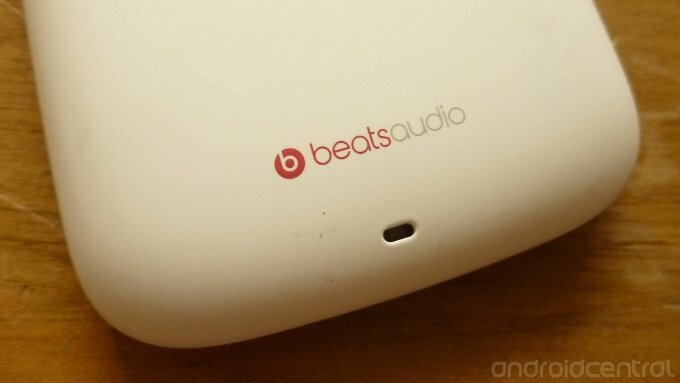 We're also reminded too that the Desire C is a Beats Audio enabled phone. While Beats isn't for everyone, it's a nice touch that it obviously isn't exclusive to the higher end offerings that HTC will be putting to market. 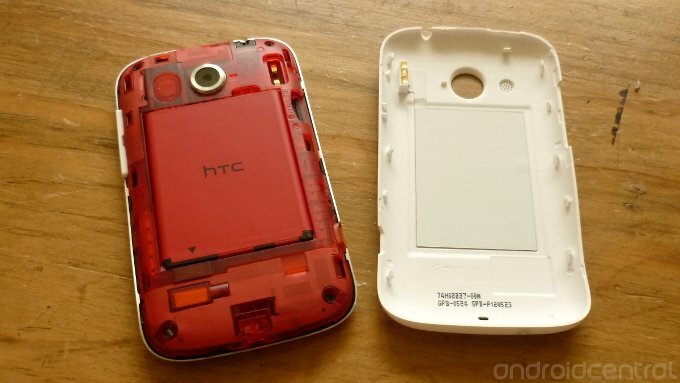 As we've already mentioned, being the budget offering, doesn't mean that HTC has scrimped on the user experience. 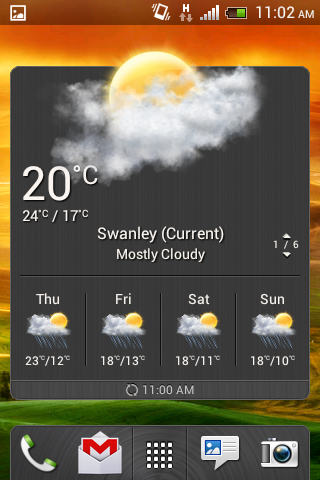 What we have here is Android 4.0.3, with HTC Sense 4.0 overlayed. It isn't a watered down version of Sense either, it's the same experience that can be found on the One series. To that end, we're not going to spend the next thousand words going into every little detail of Sense 4.0. For the full -- and we mean, full -- walkthrough, check out Phil's extensive guide. It pretty much all applies. 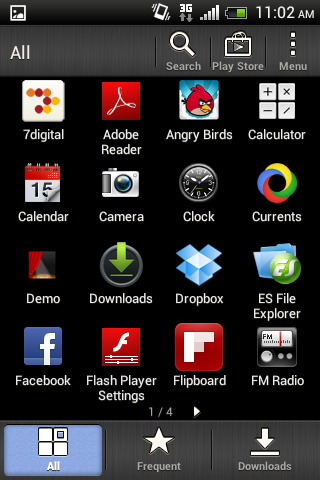 On the Desire C, you'll get the same widgets, the same look and feel, launcher, theme options, the works. There are a couple of alterations though, that you won't see on the One series. One of which is the quick app switching window, and the other is how the menu button is handled in legacy apps. 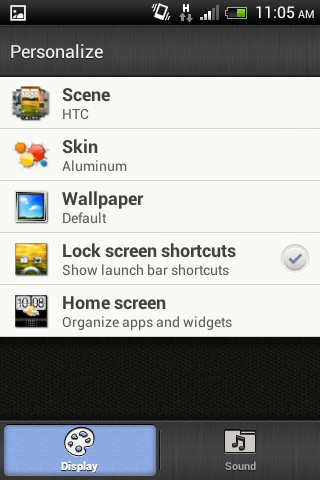 So, one of the biggest annoyances with HTC, is the way in which the legacy menu is handled. A big, intrusive, un-attractive black bar, with three dots in the center. It serves a purpose, but it doesn't do it very elegantly. For those willing to tinker, there are ways to remove it, and to re-map the menu button to the fast app switching button. This involves unlocking, rooting and flashing things. But, guess how the same problem is dealt with on the Desire C? 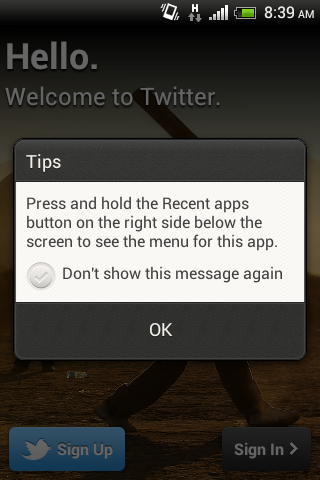 That's right, apps that don't conform to the new Android 4.x design guidelines will not show up an ugly bar. To enter the menu, you hold down on the fast app switching button. So, it's been done right here, we can only hope that a future update will see the high-end offerings get the same treatment. Speaking of fast app switching, HTC's custom UI is gone. 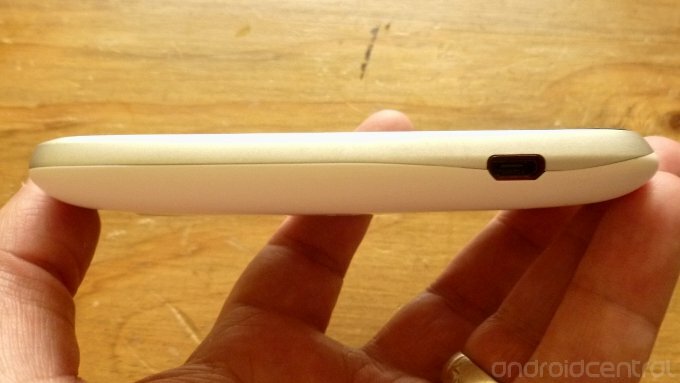 What we're left with, is the familiar, stock Android 4.x task switcher. The right choice, we'd even say the only choice on a device this small. In terms of software, it's a score. At no point does the Desire C feel like a budget phone while you're immersed within Sense. There's no polite way to say it, so we're going to just have to come out with it. The camera on the Desire C is terrible. The actual application itself is fine, very much the same app as the other new HTC phones. Face detection, the grid overlay, some basic tweaks, are all are present and all do their job as intended. The thing that kills this camera is the lack of auto-focus. With a fixed focus, photos are really, really hit and miss. And that's a shame. 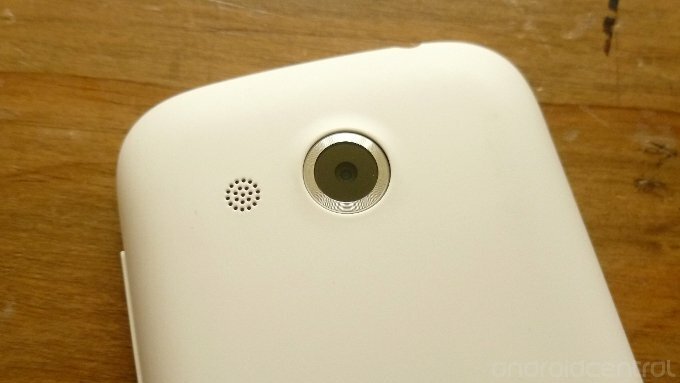 HTC has won many new fans in recent months, through their cameras and ImageSense technology. That newfound quality is lacking in the Desire C's camera. We know, it's a cheap phone. But that doesn't mean it needs to cut back in as important an area as the camera. In fact, had the camera been better, it would have warranted a higher asking price for the phone. There are so many, huge, positives about the Desire C, but it's badly let down by its camera performance. Take a look for yourself below -- we've not hand-picked any of these shots. Things don't get any better when you flip into video camera mode either. 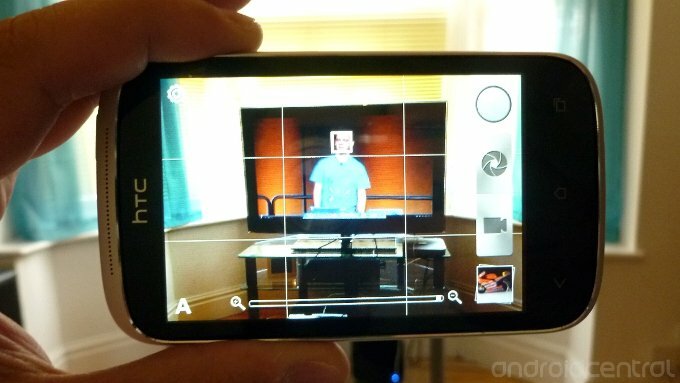 There's no HD video recording here, the Desire C takes its footage at 640x480. And even for that resolution, the results are pretty awful. Any form of movement results in pretty tremendous pixelation. Again, it's a real shame considering the number of positives from a device of this nature. 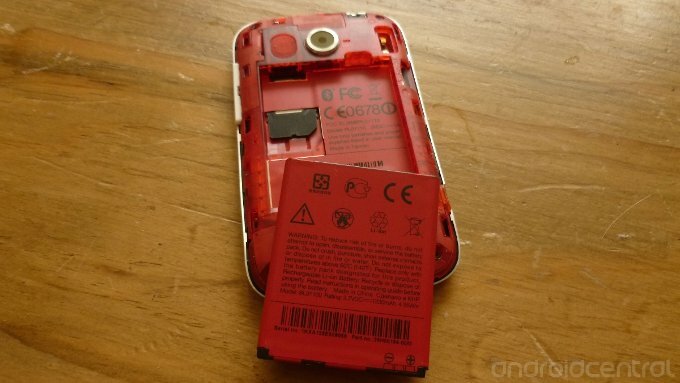 Hearing that an Android smartphone carries only a 1230mAh battery would in many cases set the alarm bells ringing. But, the back of the Desire C is certainly no Tardis, so one should expect a suitably small battery to accompany the miniature frame. To coin a phrase, size isn't everything. During testing, we took the Desire C pretty much everywhere, and tried to use it as a daily driver. That means twittering, G+, texts, phone calls, a bit of web browsing, the odd photo, nothing too exhausting but pretty average use. And it stood up pretty well, bever once struggling to get through the day. And, subjected to purposefully light use -- the sort where you would leave the phone turned on in your locker at work and only use at break times -- as you can see here, we got pretty much two full days out of it. With specs such as these, the Desire C is never going to be top of the prospective tweakers shopping list. However, once it is in your hands, is there much you can do with it? Well, it seems the bootloader should be unlockable via HTC Dev, and from there, who knows. Android hacking maestro, Paul O'Brien over at MoDaCo has already developed a root method of sorts for the Desire C. But while we're never going to tell anyone to leave their phone alone, the Desire C is plenty good without having to tweak. 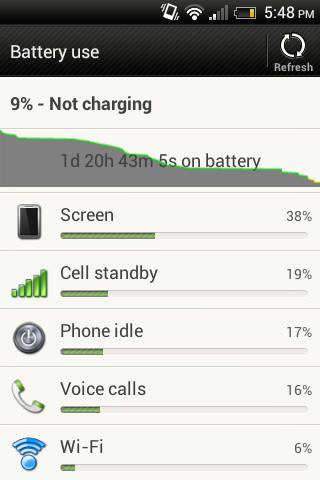 ICS and Sense 4.0 should be more than adequate for this phone's target audience. 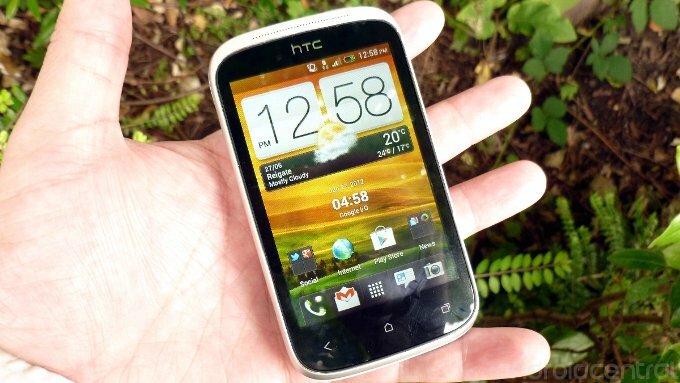 While low on horsepower and short on size, the HTC Desire C is a sterling example of how Android OEMs should be approaching their business. By simply putting ICS and Sense 4.0 on it, HTC brings its best user experience to the Desire C, potentially creating repeat customers out of those who drop their cash on the device. To hold a Desire C and a One X side-by-side and see the same user experience is fantastic. In this instance, a buyer on a budget doesn't necessarily feel left out of the latest and greatest Android software. 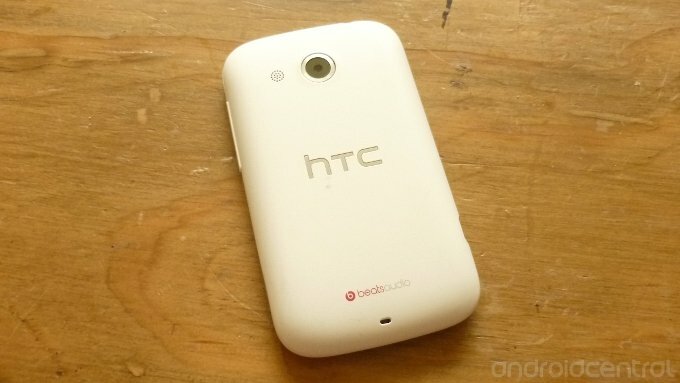 The HTC Desire C is probably the best entry-level Android phone you can buy today. It's low on price, but not on features. The screen isn't a patch on the One series phones, and the camera is pretty awful, but that aside, the Desire C is incredible value for money. HTC has proved that entry-level doesn't have to mean Gingerbread, a lesson certain other manufacturers still need to learn. If you're quick, Carphone Warehouse in the UK is currently selling the Desire C for £99.